How Tone And Language Can Affect Customer Care Services ? 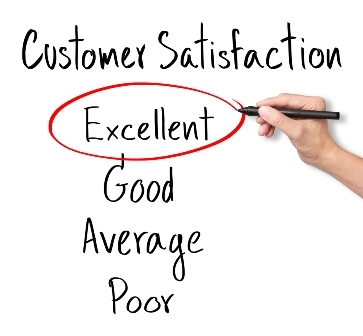 Home / customer satisfaction / How Tone And Language Can Affect Customer Care Services? When a customer contacts a customer care professional he/she demands a lot of things. They want a professional on the other end to be understanding and give instant solutions to their problems (however complex they may be). But the part that is most important is to communicate effectively with the client. Many times wrong tone or choice of words can mar an agent’s impression. In the call center world, first impression counts much more than in any other business sector. Customer care services can be compared to a play, where the first scene keeps the audience interested and then the later scenes build the tension (or in this case proceed towards a solution). Tone and language are part of the first scene or the rapport building process. How you connect with the customers is an essential factor in the success of a call center agent. There are many companies who feel: having an experienced call center agent will automatically translate into good customer experience. This is only a myth. Remember, the agents are not only communicating with the customers over a problem and giving them solutions, they are also talking to them. This gives them a chance to strengthen the brand loyalty even further. Quality care to the customers will solve their issue, but if you are able to create a bond between the customer and the brand then you have one loyal customer. The tone you use would be dependent on the brand. If you are representing a brand which is into luxurious products then a formal tone will well suit the needs. On the other hand if the target range of your brand is males in their early 20s then a casual tone would be better to build a rapport. Explaining: It is important to gage the level of the caller, which can be readily found through the advanced software call center professionals are using. Being too courteous with an early 20s guy is not cool, similarly being too casual with a mid-30s person is rude. So, seek the age group and other details before commencing. Try to listen to the customer problems and then go on explaining the solution. Proper explanations are keys to building good customer relationships. If you can build a good rapport, the customer will feel: he can solve all my problems. Positive Response: When calling a customer, the agents should be positive in their approach. Telling a customer what can’t be done is easy. But to explain the entire scenario and then provide the course of action for the customer is quite difficult. Then again your clients have employed telemarketing solutions because of these difficult tasks. Make sure you sound genuine and offer a detailed route to ease their problems. Choice of Words: There are countless words in the English dictionary. But all these words have some attributes attached to them. There are positive words and then there are negative ones. An agent should strive to keep the negative words to a minimum (if at all used). Positive words sound energetic and ooze confidence. It would help the agent form a quick relationship with the caller and thus help the brand. Choice of words, though important in all circumstances, is vital on occasions when the solutions are “less-than-ideal”. Any customer care services should be geared up for multi-language communications. Though English is a primary language in many parts of the world, but there are people from other nations too. Just as an example, when you are offering support to a brand in the US you will mostly get callers who communicate in English. But at odd times, you might get some callers speaking in Spanish. This means that you have received a call from one of the many Mexican descent people settled in the US. If you try to change the language of communication to English then the caller might have an issue in conveying the problem and even understanding your solution. So, if you are calling to the US, Spanish is as much required as is good English. At VCall Global we offer multi language support for all our customers. We have a unique training method whereby the agents are taught the laws of communication, choice of words and language. Our call center agents are also aided by the CISCO based IP network and custom software to help dish out best customer support to your customers.